Combining sculptures alongside paintings and photography adds tremendous interest to the interiors of the house. 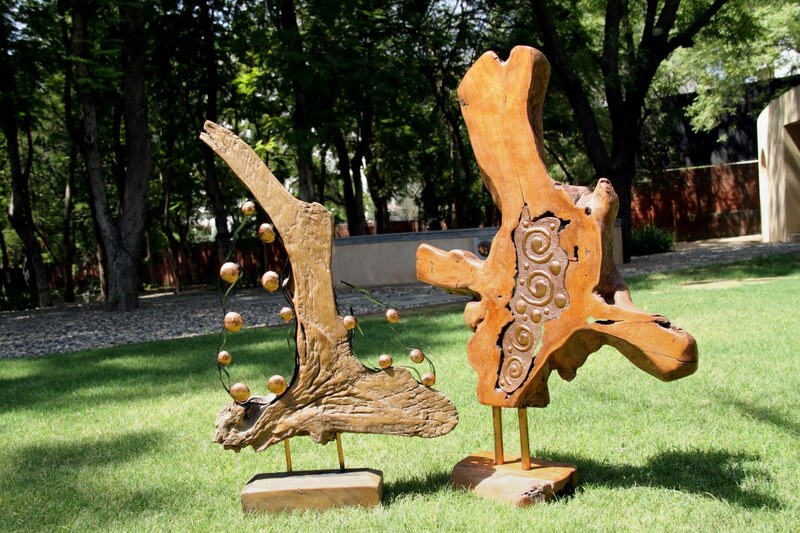 Interesting in itself, this teak wood sculpture has beautiful copper inlay. It has a dramatic effect because of its height and randomness. It is a great way of adding oomph to any part of the house.